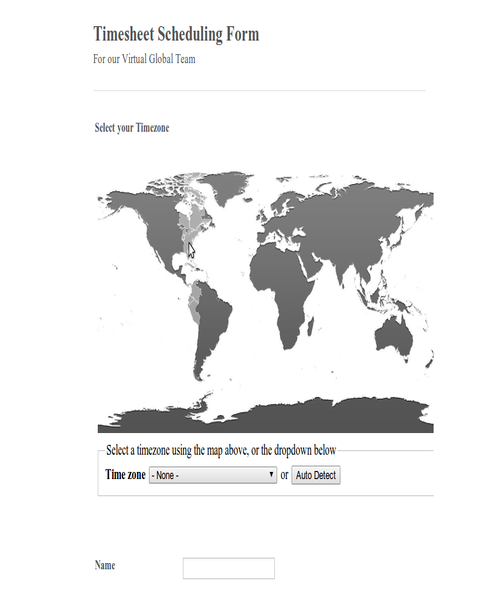 Its much easier when your users select their timezone from a world map. This is what this widget is about; and much more. It not only displays all the various timezone around the world, but it allows the user to point and click their approximate location. This will trigger the widget to automatically figure out the timezone they are in, and fill out the drop-down box beneath the map. 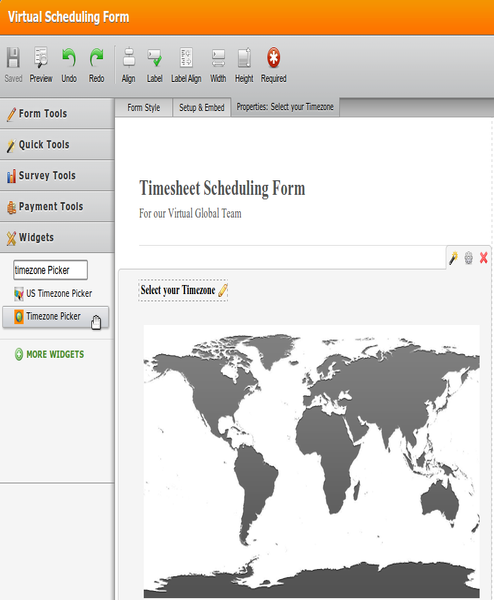 Your users can also allow the widget to automatically figure out where they are by checking their computer time settings. 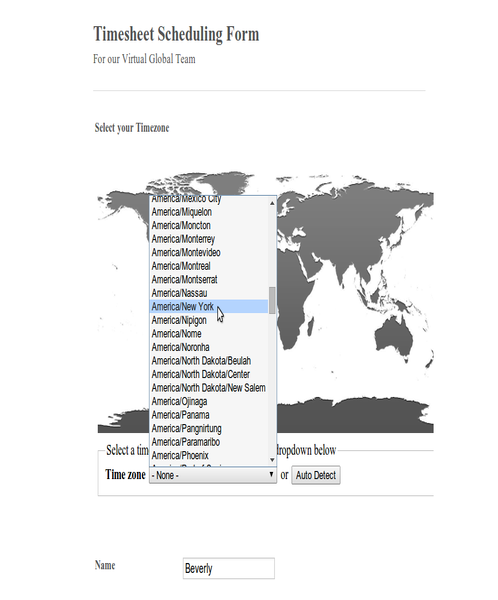 This widget is essential for all forms that require form users to select their time zone.